Cape Town International Airport is an international aerial gateway to Cape Town, South Africa. CPT is the world known international code name of this airport. It is also titled as the second busiest airport of this country South Africa and fourth busiest airport of Africa. It is situated at a distance of 20 kilometers from the center of this city. We give you access to cheapest car rental deals and offers for Cape Tow Airport through our wide circle of rental suppliers. Our network of suppliers include biggest and most trusted brands like Alamo, Thrifty, Budget , Sixt and more. This airport city has several attractions to see such as the Table Mountain. You must also see the Kirstenbosch National Botanical Gardens which are located over 7.1 km of distance from the centre of the city. Car hire in cape Town makes it easy to explore attractions like Lion’s Head, the Cape of Good Hope, then the Cape of Good Hope Nature Reserve, Biodiversity Garden and Greenpoint Park. 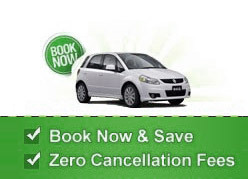 Sightseeing in Cape Town Airport can be made easy with a low priced car rental deal. Our wide fleet of Sports car, mini van, SUS, 4x4, Sedans and small compact cars targets all categories of renter.